Provenance: J.J. Lally & Co., New York. Notes: See a similar 'windswept' meiping, although without a cover, in the Benaki Museum, illustrated by L. Ashton and R.L. Hobson in the Catalogue of the Chinese Pottery & Porcelain, Athens, 1939, pl. XXIX, no. 398. Another smaller example (27.3 cm. 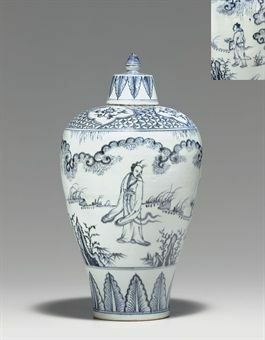 ), also lacking its cover, where the attendant carries a qin, was sold in these rooms, 19 March 2008, lot 574. Notes: The present lot appears to be quite unusual, and few examples of this type appear to be published. However, see a late 15th-early 16th century flask of very similar shape and decoration, although with a neck fitted with a gold Ottoman mount, illustrated by R. Krahl and J. Ayers, Chinese Ceramics in the Topkapi Saray Museum Istanbul, vol. II, London, 1986, p. 545, no. 665. Provenance: Formerly J.M. Hu Collection. 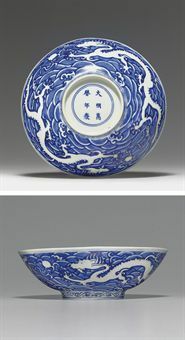 Notes: A virtually identical Wanli-marked blue and white bowl in the National Palace Museum, Taipei, is illustrated in Blue-and-white Ware of the Ming Dynasty, Book VI, Hong Kong, 1963, pp. 62-3, pl. 17. 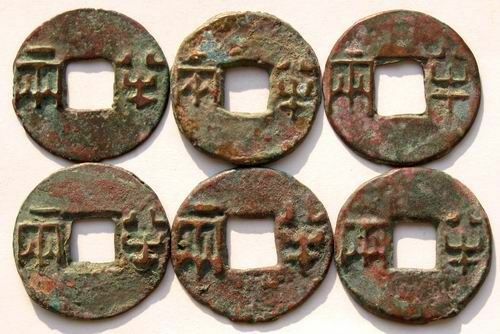 Provenance: Acquired in Asia prior to 1960. Notes: A dish of comparable size painted with the same decoration, and dated to the third quarter of the 16th century, is illustrated by J. Ayers and R. Krahl, Chinese Ceramics in the Topkapi Saray Museum, Istanbul, vol. II, London, 1986, p. 707, fig. 1212. 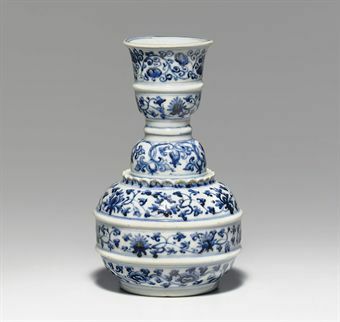 A rare blue and white ewer and cover. ming dynasty, 15th century. A rare blue and white dish. ming dynasty, 15th century. 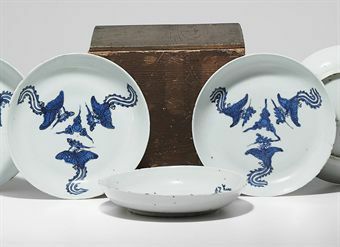 An early ming blue and white small barbed-rim dish. 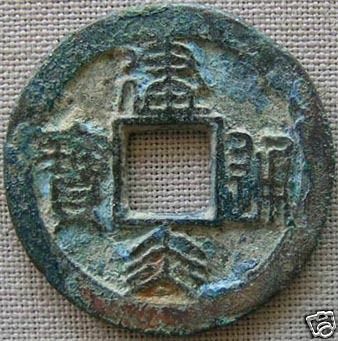 yongle period (1403-1425).